Its 5am and your alarm clock goes off. What do you do? Do you hit the snooze button or do you get out of bed? If you are anything like I used to be you would not just hit the snooze button, but turn it off completely and keep on sleeping. Now, ask yourself why you would do that and the reason is more than likely that you did not have a purpose, a reason to get out of bed that was motivating enough to beat the desire to sleep in. You see, every morning we need a good reason to get out of bed. Whether it be to go to work or get the kids ready for school, we need a greater sense of purpose, responsibility and reason to push us to start the day at the sound of the first alarm. So, maybe that reason is because you have to write a couple of diets or workout plans for your new online training business. Maybe you need to draw a few designs for your start up clothing line all before you go to the job that is currently paying your bills? How do you motivate yourself to wake up at the break of dawn or hustle until dusk? 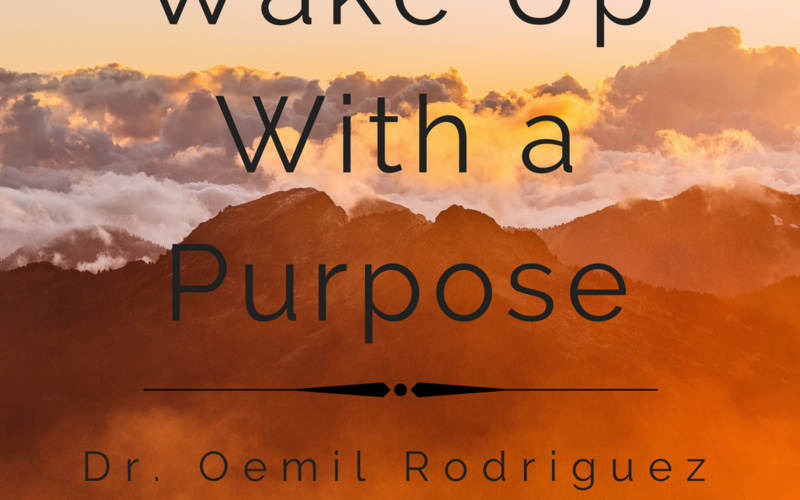 Waking up with purpose is not always easy, especially if your purpose is not clear. Finding your why, a reason powerful enough to get you out of bed and working towards that goal that you have dreamed about for so long, is necessary for your commitment to persist long after your initial motivation has dwindled. But finding your why may be easier said than done. In many instances, what may appear to be your why may simply be a reason rather than a purpose and that is the reason why many fail to achieve long term success in their endeavor. For example, 3 common reasons why many start that are commonly mistaken as a purpose are revenge, guilt or simply a challenge. All good reasons, none are truly a purpose. So how do you find your why? In order to find your why, you must be able to answer these 3 questions. 2. Will you still care about that 3 or 4 months down the road? 3. Does it interfere with your values? If you ask me why I do it, why I wake up early in the morning or go to sleep later than usual in order to work on diet plans, workout programs, answer a text or an email to a client, not only would I answer because I find joy in being able to help others but also because as a mother of three, I want to be a role model to my kids. I want to be someone that inspires them. Someone that teaches them through action that if you truly want something, you have to work hard for it and be willing to sacrifice for it. It is because I see it as a teaching tool that I enjoy doing that I am able to do it day in and day out regardless of what is going on in my life. Having a strong WHY is what keeps you in the fight when everyones else quits. A strong WHY is what motivates you. A strong WHY is the reason you will succeed while everyone else fails.